No cash advance fee will be a good opportunity for those who wants to rebuild their credit scores and for those who wants to build credits. $25 annual fee is reasonable for a secured credit card. No balance transfer fee is also good for those who wants to transfer balance their new credit card. It is very good for rebuilding credit history. It is very good for those who wants to build credits. You can improve your credit limit to $3000. 1% foreign transaction fee is not bad. No services and goods with this card. You won't earn any points with this card since it is for building credits. 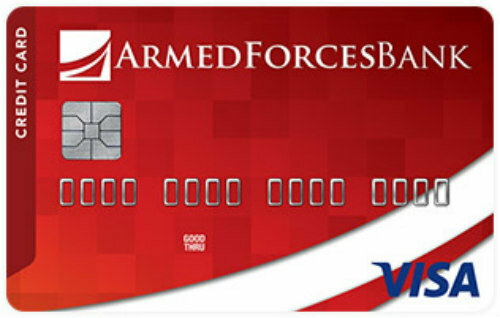 Armed Forces Bank Credit Builder Secured Visa Credit Card is a card those who are seeking a card for rebuild credits and build credit history. The card is offering promising features for users. There is no cash advance fee with this card and you won’t pay for balance transfers. There is only APR for purchase, balance transfers and cash advance. All APR rates is %22.99. It is a reasonable for credit builder card. You can improve your limit to $3000 with depositing your account. Unlike visa card of the company, you can apply online for Armed Forces Bank Credit Builder Secured Visa . You will also able to improve your limit with depositing your account. The annual fee is $25 dollars for the card. Foreign transaction fee is 1%. You can read user reviews and also write your own review for this card below. There are also rates and editor scores for the card. 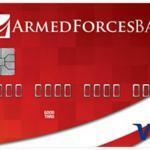 You can see Armed Forces Bank Credit Builder Secured Visa reviews below.